Coach Ryan's Corner: Struggle Bus or Magic Bus? Ever since I moved up here to New York, I’ve been seeing way more buses. Way more public transportation buses. I probably should have taken one out to Tarrytown for that Boz Scaggs concert last week, but I digress. I want you to imagine two buses. They both look the same, but they are totally and completely different. 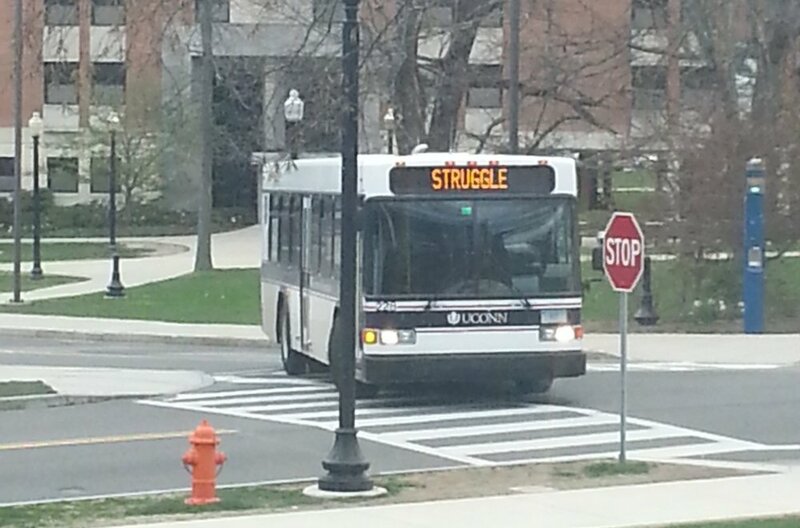 Struggle Bus: you hop on this bus and you’re constantly in a state of struggle. You’re breaking down. You’re losing gears when you’re going up hills. You hit every nail and screw in the road – constant flat tires. It’s the Struggle Bus. Magic Bus: the magic bus is the one where you’re running on fairy dust and possibility. You may not know where you’re going, but you know the destination is going to be magical. And keep in mind, black magic exists. I’ve had a long relationship with Magic. Safely put, I’ve related to magic since before I got my Fisher-Price Magic Show toy. And that was my second grade talent show. I mean, I am a host of a podcast about magic. It’s universal in my life nowadays. The Magic Bus is the bus of possibility. The Struggle Bus is easy. Choosing to take a ride on the Magic Bus isn’t the easy choice. That’s the bus that drops you off at Willy Wonka’s. It may get lost, take many detours, and forget how to get to Willy’s…but it’ll get there. The Struggle Bus is the one that is going to break down where you have to walk to the nearest police station in the middle of nowhere. But at least you know where the Struggle Bus is supposed to go. Magic Bus, you may not know where it’ll go. You may not know where it’ll land. But the destination will be magical. You might not know where the heck that is. What do you choose? Magic or Struggle? Think about this: those two buses won’t ever be seen at the same stop. Magic cannot exist inside struggle. You may get to the same destination. But you may have to walk the last mile after the struggle bus breaks down. The magic bus may take twenty different detours on its way to the destination. And it may even fly a little because it’s powered by fairy dust. The Magic Bus is more fun. That’s what I choose. Now to leave the Struggle Bus behind. Coach Ryan's Corner: What's Your Story?